This is their third release and they have produced a fine and evenly balanced recording with some genuinely great tracks. They include strong vocals from John that are equally restrained in their approach to songs like Johnny Todd, which is a traditional English children's song. Also included are some some strong self compositions like the beautiful mellow composition called Renee, written for the wife of fiddler Phil Franck which they play withWaking Up in Wonderful Wark, a Karen Tweed composition and Seville Suite by Bill Whelan. 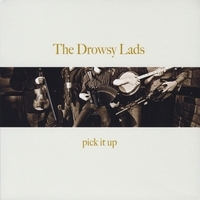 The Lads have released their second CD this year, Pick It Up, and it’s as fine a trad Irish recording as you can find. Strong vocals and impressive instrumentation are provided by Bryan Brookes on flute, whistles, concertina, Phil Franck on fiddle, banjo, bass fiddle & vocals, Josh Franck on button accordion, bodhran, guitar and vocals, John McKewen on bouzouki, tenor banjo and vocals and Daniel McKewen on guitar, uilleann pipes, low whistle and bodhran. 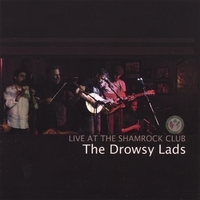 This CD has the distinction of stopping my son in his tracks as he heard their rendition of the Wild Irishman reel, truly an attention grabber... Folks loved their powerful performances and I can agree that they are a lovely surprise for the jaded music fan. percussion on some of the livelier tracks perhaps a bit more full on than may be needed. On the slower more introspective tracks they get it just right with a very emotive instrumental version of The Lakes of Pontchartrain standing out. They close out the album with a song called Angel Song which is also very strong and includes some great vocal harmonies. The Drowsy Lads understand the beauty of simple and uncluttered music and in the process have delivered an impressive 3rd album. Guests include Doug Rudy on mandolin, Tom Boyer on piano, Mick Broderick on bouzouki and Johnny Franck on vocals. A surprise release and worth checking out.